2020 ATP Cup Packages Coming Soon – Pre-Register Now! The ATP Cup 2020 is poised to premiere with a bang in January 2020! The Cup will see players joining forces and representing their respective nations, the team-based tournament will be the first competitive hit-out for ATP players in 2020, and you can be sure that players certainly won’t be taking the occasion lightly! With so much at stake – including form leading into the Australian Open, 750 ATP Ranking points, a prize pool of $22 million AUD and of course their nation’s pride on the line – spectators are certainly in for a treat! 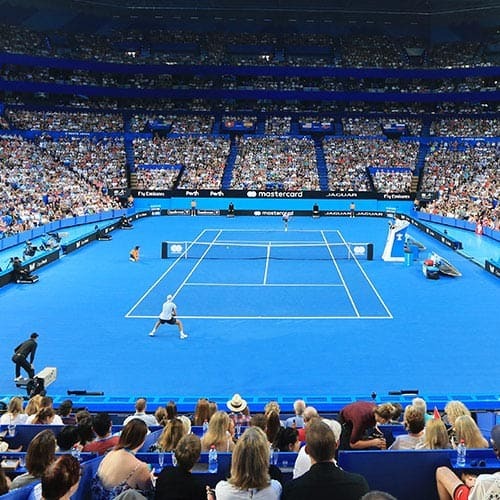 The ATP Cup 2020 is the captivating new 24 nation, team-based tournament that will kickstart the 2020 Tennis season in Australia – replacing ATP tours of the Brisbane International and Sydney International and of course the Hopman Cup team tournament in Perth. The 24 competing nations in ATP Cup 2020 are based on the ranking of each country’s top player (as of September 2019). The best and most entertaining players in the world such as Roger Federer, Novak Djokovic, Rafael Nadal, Nick Kyrgios and Alexander Zverev just to name a few are expected to represent their nations amongst fellow countrymen, competing across three Australian cities – Brisbane, Sydney and Perth. The tournament will span over 10 days in the build up to the Australian Open 2020 , with group stage fixtures showcased in all three cities and the finals fixtures in Sydney. 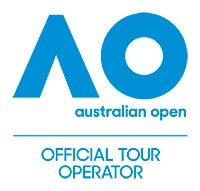 With 750 ATP Ranking points, a pool of $22million AUD in prize money (the largest prize pool outside the four Grand Slams) and the pride of a nation on the line. The unique format and quality personnel of the ATP Cup 2020 is sure to provide irresistible and extremely competitive tennis action! The ATP Cup 2020 will consist of 24 nations divided into 6 groups of 4 nations, competing in a round-robin format of three group stages. Nations will be vying to progress from the round-robin stage – as only eight teams will enter the ‘do or die’ knockout stage to be the last nation standing! Teams will list up to five players as group stages will be played out in two singles matches and one doubles match to achieve group points. The ATP Cup 2020 will be serving up thrilling Tennis action and is shaping up to be an incredibly competitive and entertaining tournament. The best players in the world go head-to-head, relishing the camaraderie and opportunity to represent and win for their respective nations. Nothing will be left out on the court! If you would love to experience the incredible action LIVE please enquire by completing the registration form below. One of our friendly travel consultants will be then in touch with further information!